I'm not too sure what's wrong with me at the moment. For about a week and a half now I have felt tired, really tired, listless and a little bit uninspired by life. I've upped my intake of good food, started taking a multi-vitamin and getting a bit more sleep but still the malaise lingers. So this morning I did some of the things I love to do. I dropped Rhianna at school and then went and had a browse through the newsagents. 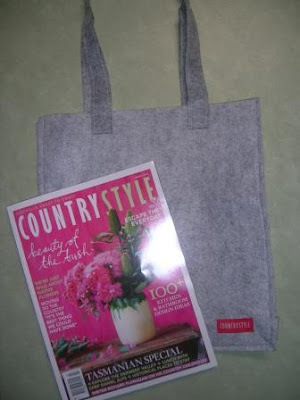 I just had to buy this months Country Style. It had the cutest little bag giveaway to go with it. Another (not plastic) bag to use when I'm out and about. Next stop, the thrift store where I found a few books. 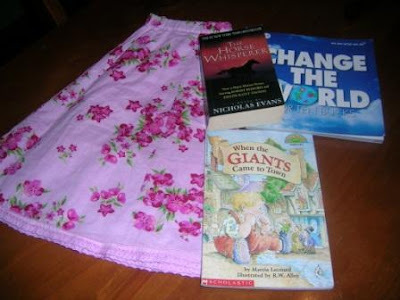 A home reader for Rhianna, a book for my Dad and a book about changing the world for me. I was also lucky enough to find this lovely Pumpkin Patch skirt for Rhianna. Total $3 for the lot. 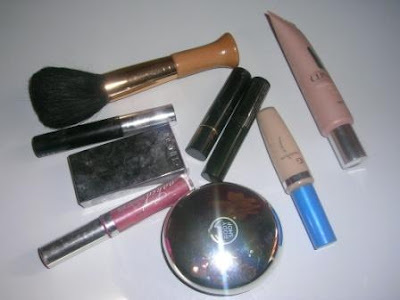 Last week I tossed all my old make-up. Most of it was getting a bit old anyway. This is not all of it - just a representation. I tend not to wear make up a lot as I find my face starts to itch about 2 hours after I apply it. I'm wondering if Organic Make-up will suit me better? 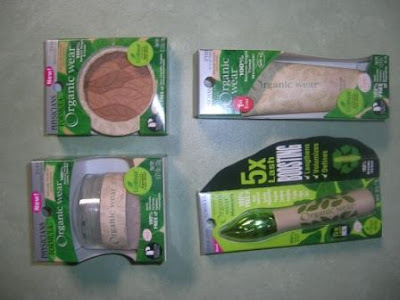 Priceline have just started stocking organic make-up. What luck! The range is still a bit limited but I managed to buy a concealer, powder, bronzer and mascara. They even threw in a whole new set of brushes. The make-up was really reasonable too. I think the stuff pictured below was about $100. 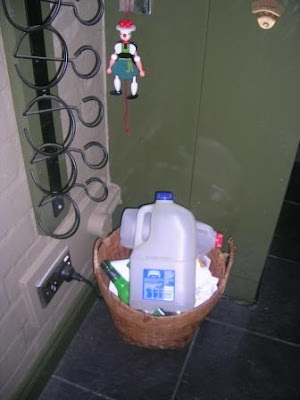 My Simple savings tip of the day is to reuse your recycling. We have a recycling basket hidden behind the bar. Miss Rhianna likes to trawl through it for craft inspriration. That way it gets another use before it hits the garbage bin. 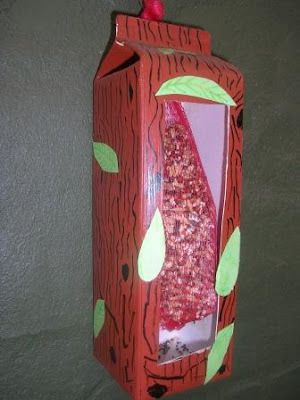 Here's a little bird feeder we made from an old milk carton and one of those mesh bags you get fruit in sometimes. The changing of the sesons could make you feel the way you are. Hope you're back to your usual self soon. Oooh I hope you're feeling more inspired soon! I agree that the change in the seasons could be contributing. I too have been a little 'off' of late. Hoping to get back into the swing of things soon! Thanks Snickerdoodle and twisted soul. I am having an easy week this week to try and get my energy back. Hopefully that will help. You have been doing a lot of things in your life as indicated in your blogs. I have found for me that sometimes simplifying my life can be exhausting. Absolutely lala. I think I have burnt myself out last week. I am having a chill time this week to recover.